We crossed 13500 km in South Africa, Namibia, Zimbabwe ( Victoria Falls ) and Botswana. Illustrated by a Journal Travel, beautiful photos and videos, our journey is detailed step by step. To prepare your travel, guides and councils are at your disposal for every country visited. 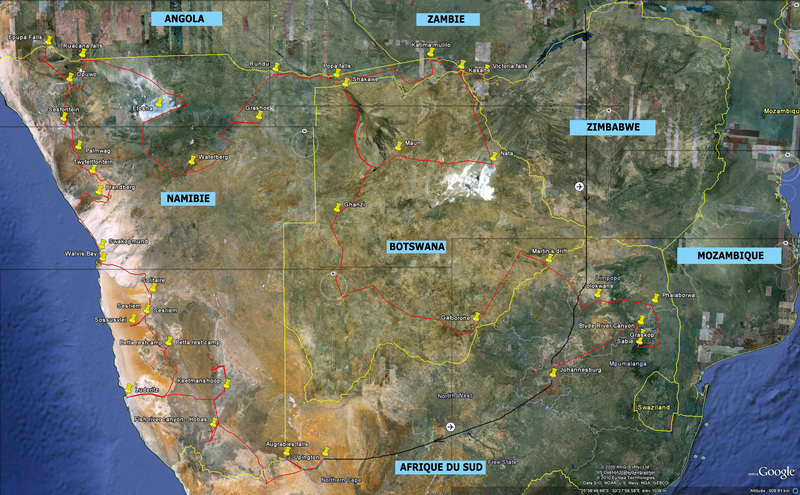 Many of the other magic places of the Southern Africa. South Africa, Angola, Botswana, Comoros, Lesotho, Madagascar, Malawi, Mozambique, Namibia, Swaziland, Zambia, Zimbabwe. 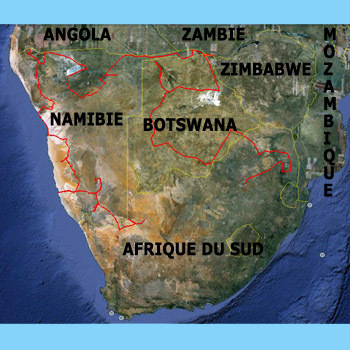 Southern Africa (SADC) includes Tanzania and Democratic Republic of the Congo. Rent a car, buy plane tickets or book our accomodation cheaper 40% Compare plane tickets, rent a car, hotels and journeys quickly! Our comparators find the best prices for your trip !